When we were growing up, we’d often find They Might Be Giants had a polarizing effect on people. Perhaps it is something about having hyper-devoted superfans as profiled by the excellent documentary Gigantic that turns people off. Or maybe it was all those silly lyrics and crazy sounds. Whatever the case was back then, today we argue it’s next to impossible not to have a great time at one of their shows. 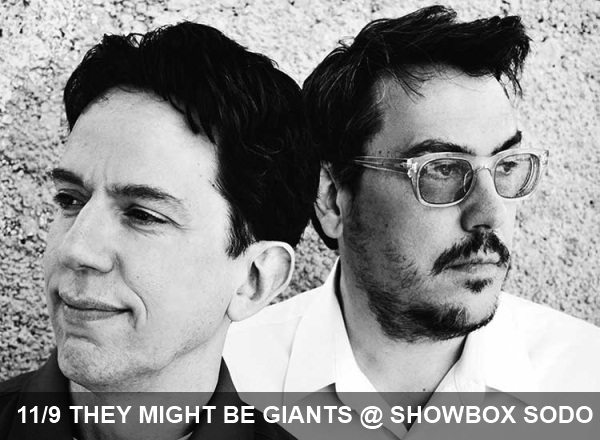 As some of the absolute best bands we know when it comes to showmanship, tonight’s TMBG show has been a bright spot on our calendars for weeks. If you’re still on the fence, revisit some of their old material, watch their A.V. Club cover below and watch an old classic below to get a better idea of what the two Johns have in store tonight. After you’ve made up your mind, head down to SoDo early to see code monkey turned geek rock hero Jonathan Coulton open. They played it last night! Hope you got to experience it as well.